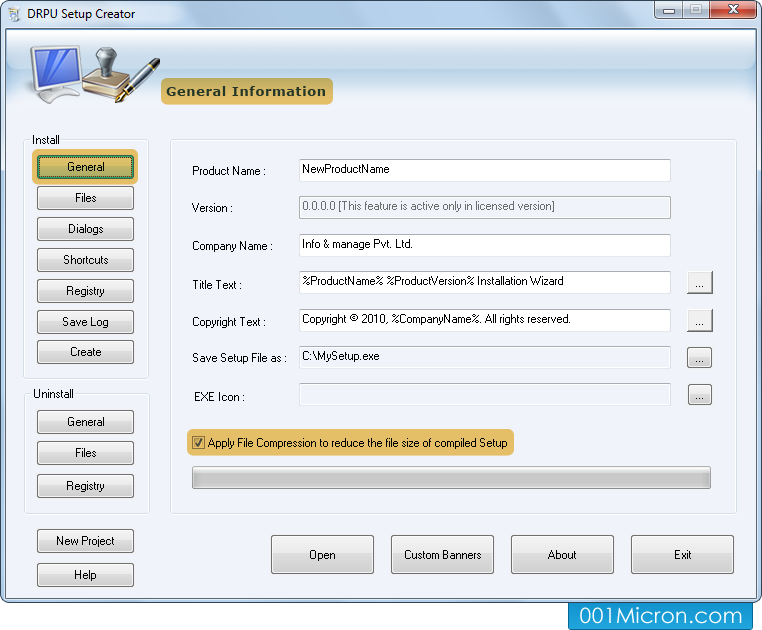 Click on General Button to specify product name, company name, version and other software related information. 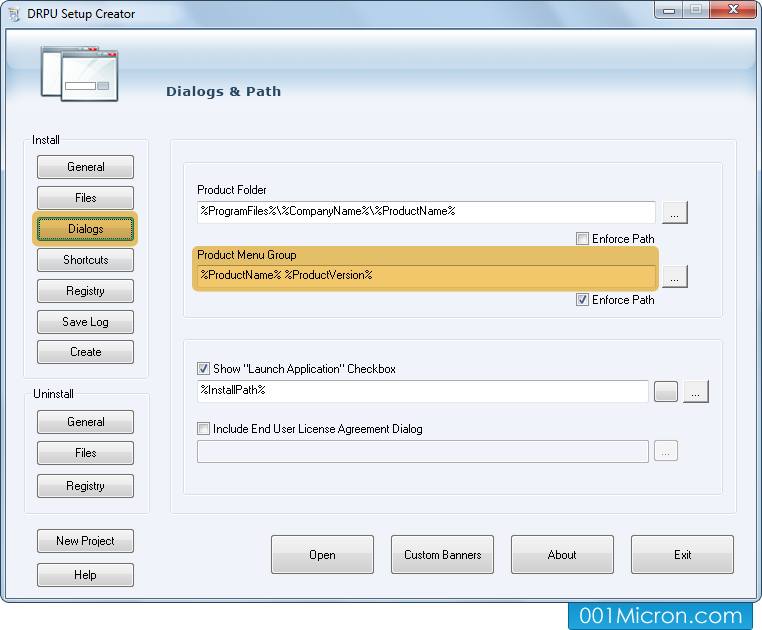 Click on 'Dialogs' button from install menu to enter product folder, menu group name and other program details. 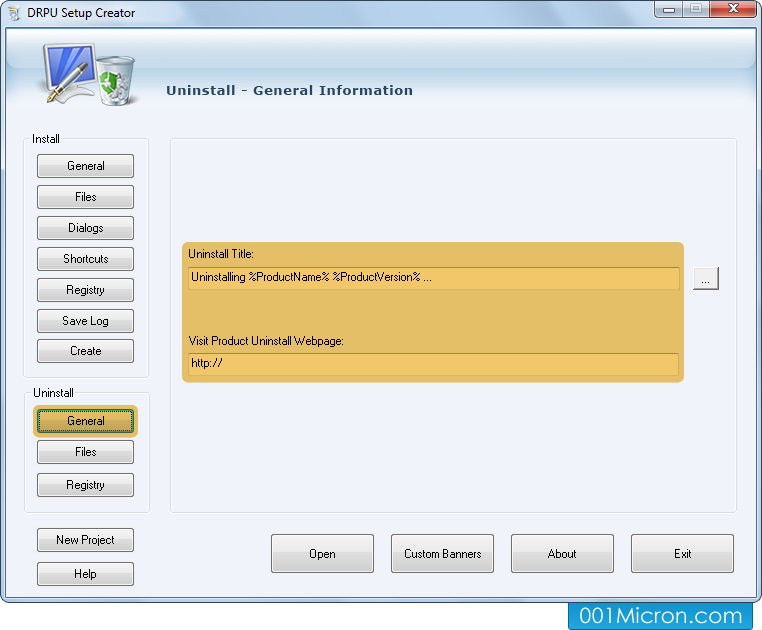 Click on General Button in Uninstall menu to specify Uninstall title and webpage of product for which you want to make Uninstallation package.